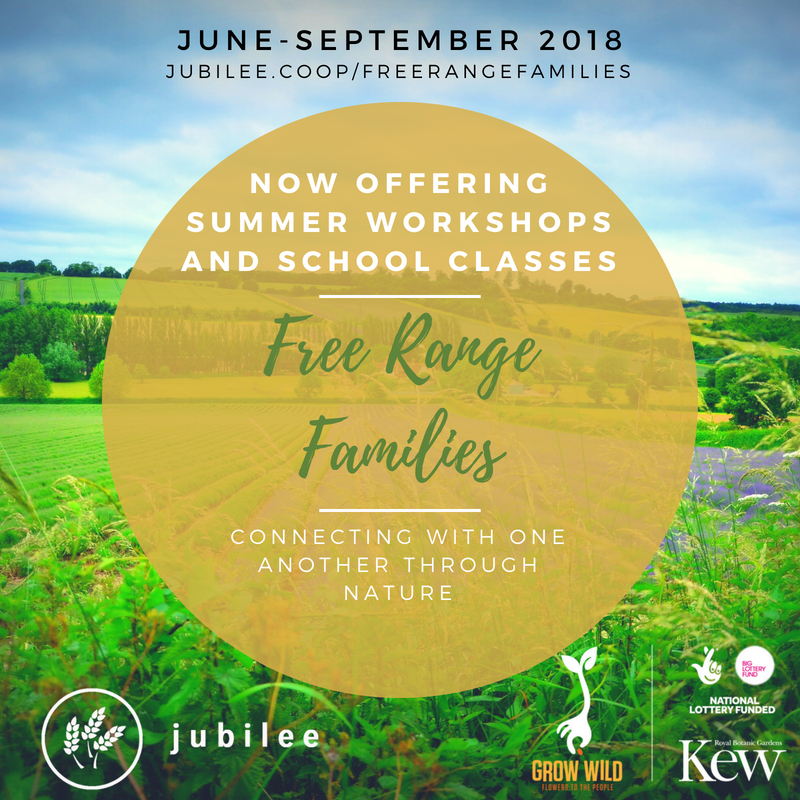 Free Range Families (FRF) project is a Grow Wild-funded community conservation initiative that will will connect families – household, school, church and community – to each other by connecting them with nature. 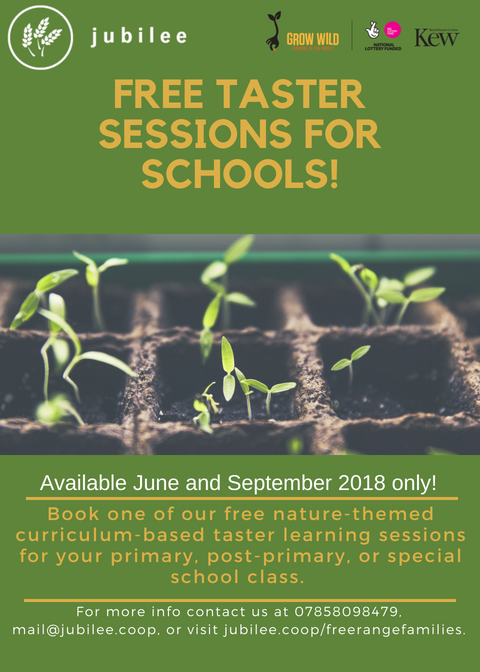 Free Range Families will focus on recording, understanding and celebrating wild nature through summer workshops, school classes & a BioBlitz, between June and September 2018. Benefits from the project will include improved community and family cohesion, social inclusion, environmental knowledge and biodiversity records. 13 curriculum-based learning sessions for primary, post-primary and special schools in June and September. 16 summer workshops for children and adults in July and August. 1 BioBlitz (citizen/conservation science event/festival) 22-23 June. If you would like more information on this please email us at mail@jubilee.coop.